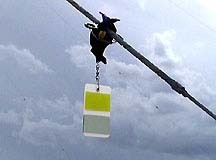 Bird flight diverter bird deterrent repels pigeons and other pest birds from power lines, agriculture and industry. Target Birds: All bird species and bats. Install Bird Diverter: Tower guy wires and lattice work*. 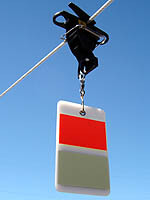 Material: Acrylic Plastic 1/8“ x 3.5” x 7” flapper -impact-resistant and UV-stabilized. 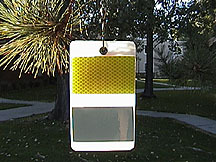 (--30 F. to 160 F.) Fluorescent Reflective Sheeting – 10-12 hour glow-in-the dark light emitted. The Firefly produces an initial light emission of 6 lumens per cubic meter which reduces to 1 lumen PCM 1-2 hours after sunset. How It Works: The FireFly bird diverter reduces collisions using motion, reflectivity, and light emissions to alert the birds to an upcoming obstruction. The Firefly is affected by direct wind and indirect wire movement increasing visibility / luminescence at night, fog / low light conditions. 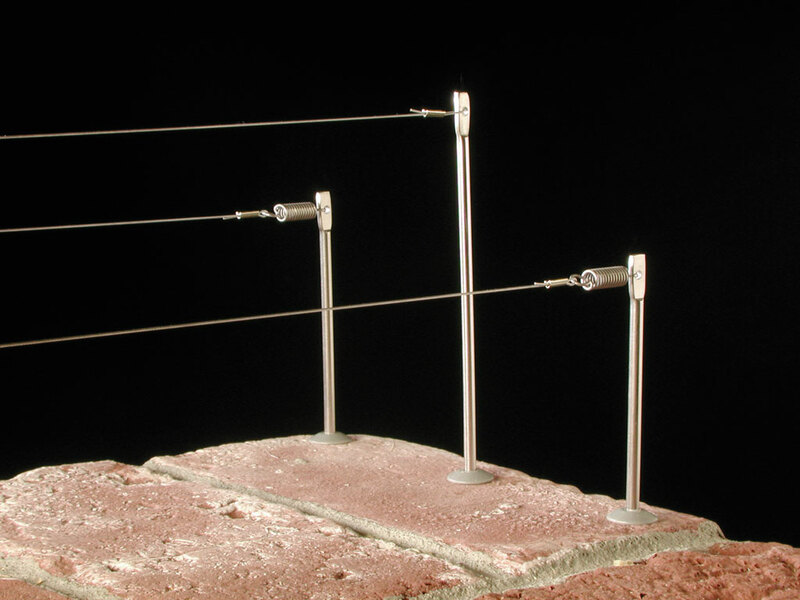 lnstallation: Click here for Guy Wire Schematic and specifications. Spacing: Towers 100’ or less: 15’ apart. Towers 150’ or higher – 30’ apart. Alternate Firefly colors - Orange / Yellow. Repeat. *LATTICE WORK: ‘C’ Clamp, -shrink wrapped to ½” Schedule 40 PVC, 12” SS Conduit Swivel Bracket, Powder Coated SS 600# Swivel Assembly, 3.5”x 7” Firefly. See the FireFly in action! Click here for layout details and specifications on bird diverters for communications towers.